PUBLISHER SYSTEM: New & Updated & Complete Step-by-Step Self Publishing Course That Teaches You How to Publish Your Ebook + Paperback + Audibooks From A to Z That Works for 2019 - Taught to You by an Author/Publisher Who Has Published HUNDREDS of Books! "How to Build Your Own Independent Self Publishing Brand/Business/Company for Now & for the Long Run...by a Bestselling Author & Publisher with 10+ Years of Experience in the Self Publishing Industry!" Click the 'Buy Now' Button to Get Publisher System! Publisher System is an online course that teaches you self-publishing secrets from an BESTSELLING AUTHOR & INDEPENDENT PUBLISHER'S perspective. Join PUBLISHER SYSTEM Today! All sales are final because this membership & course is digital. Thank you. Yes! My book about self publishing ("How to Make Money with Ebooks") hit #1 on Amazon's Bestseller List for Business on Amazon. This book is still a classic because the 7 steps taught in that system in detail are the exact blueprint I use for my own independent publishing business still to this day. So if you're interested in the book, then I recommend you to check out my book here. Hello Aspiring Author/Publisher/Self Publishing Enthusiast! If you want to learn about self publishing from a real life everyday & independent author & publisher, then this may be one of the most important websites you visit this year. That's because if you want to learn how to self publish your own eBook PLUS paperback book PLUS audiobook INDEPENDENTLY on Amazon by watching real life demonstrations on how to do that from A to Z, then PUBLISHER SYSTEM online membership site can help you LEARN & ACHIEVE that from Start to Finish, Step by Step, from A to Z! Hello, my name is BJ Min and I am the author of "How to Make Money with Ebooks" which is my book about self publishing (teaches self publishing in 7 steps that is classic, relevant, and working still to this day) that hit #1 on Amazon's Bestseller List for Business on Amazon during its launch. 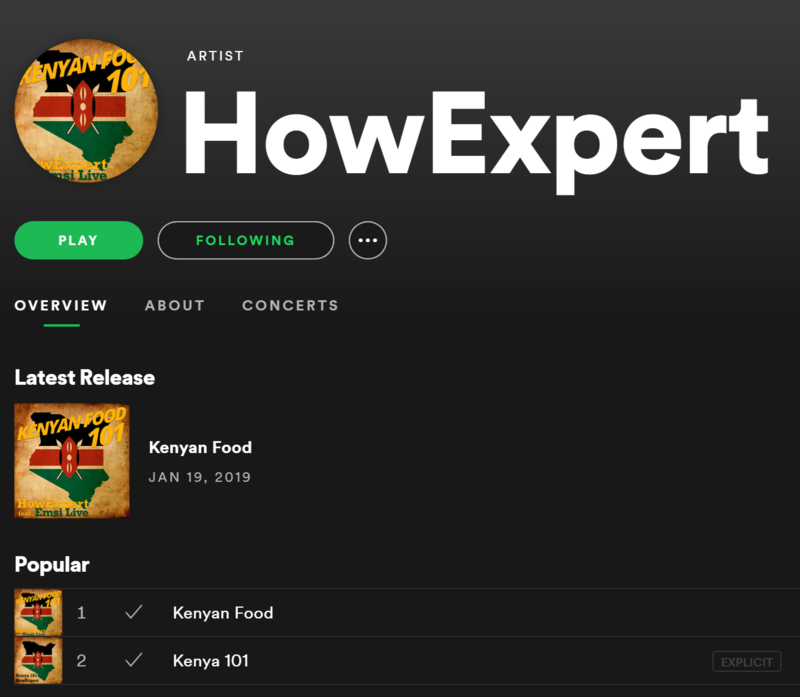 I also have real life experience as an independent publisher who has worked with hundreds of everyday people to become published authors through my independent publishing brands such as HowExpert.com & ShortStoryPress.com. After spending many years as an an INDEPENDENT PUBLISHER, I want to NOW share with you my SECRET BLUEPRINT on how I started my own publishing company so YOU can start your OWN independent publishing company the RIGHT WAY! Having said that, let me show you my REAL LIFE PROOF of self publishing! In Publisher System membership site, you will receive my BEST & NEW & MOST RELEVANT self publishing lessons (from an everyday & independent self publishing person's perspective to show that you can also do it too!) through my comprehensive, look over my shoulders, & real life video demonstration format so you can learn from my unique/innovative/different theories & real life lessons to ultimately help YOU SELF PUBLISH your own eBook, paperback book, and audiobook on Amazon. You can do it. Anyone can do it. It's most people's dreams to become an author and I want to help you do that through my real life lessons which I share through my membership site. Becoming published is about making your work official. Make your work official by getting published. Just like the saying "Once a Marine, always a Marine", I believe in this as well - "Once an author, always an author." Thank you and all the best! FREE Training: Here's a Free Self Publishing Training to Help You Build Your Own Independent Publishing Empire From A to Z! 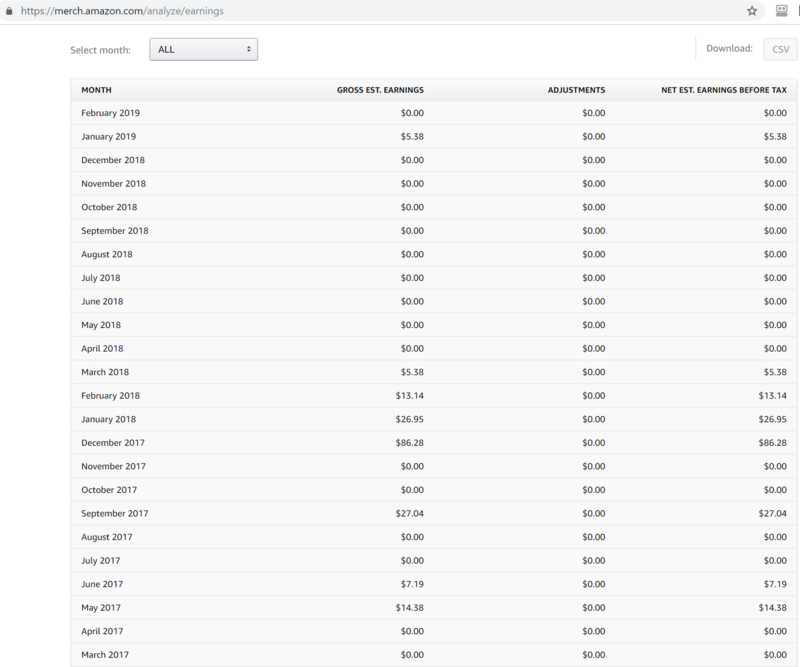 Here is Proof of My Knowledge, Experience, and Results with Self Publishing Industry That I Have Freely Shared on YouTube...and Will Do More In Detail In My Step-by-Step PUBLISHER SYSTEM to My Students! 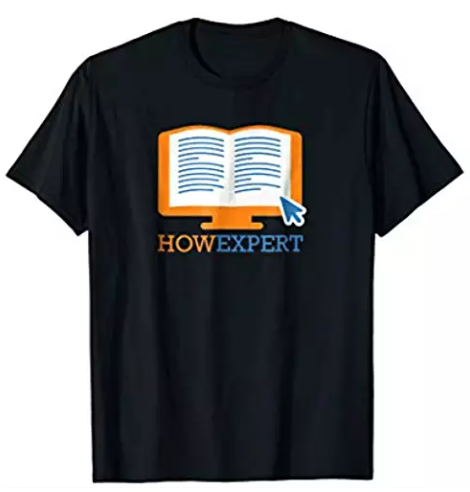 I have experience hiring and publishing 800+ book related products (such as ebooks, paperback books, and audiobooks) for one of my publishing companies HowExpert. I have experience hiring and publishing 100+ book related products (such as ebooks, paperback books, and audiobooks) for one of my publishing companies Short Story Press. 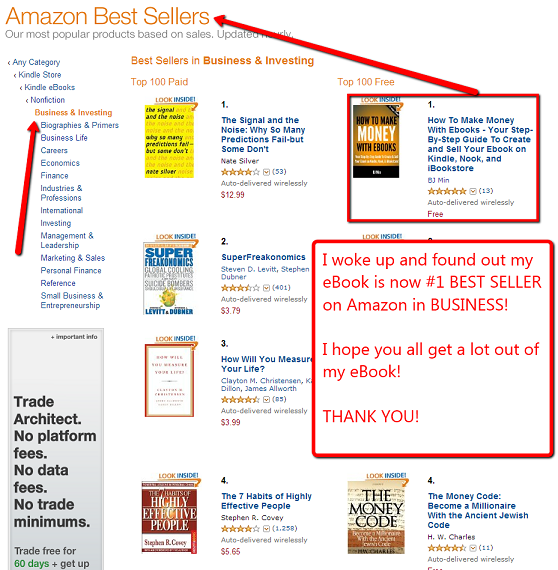 My Ebook Hits #1 on Amazon's Best Seller List on Business! Done For You Ebook/Book/Audiobook Service + Keep ALL Royalties! What Is The Cost to Publish Your Own Ebook on Kindle, Nook, iBookstore? Benefits of Starting Your Own Self Publishing Business! 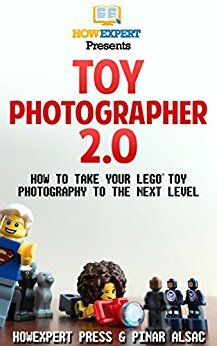 I got 1,200 Downloads of My eBook in 1 Single Day! LOOK AT THE PROOF HERE! Yes! My book hit #1 on Amazon's Bestseller List for Business on Amazon! A dream/accomplishment that truly did happen & I'm truly proud of & hope to give you my lessons to help you achieve your dreams/success as well! I spent a TOTAL of $0.38 to make my book show up on 1st PAGE search results of Amazon 91 TIMES (out of 200+ search results)! 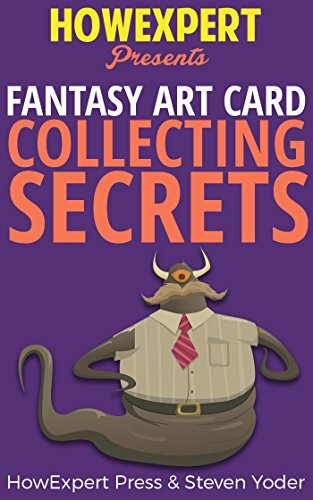 One of my books is showing up on 1st page of Amazon results over 16,000 times for $6.93! 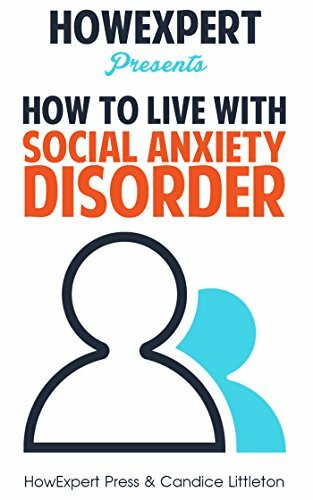 I have also published a BESTSELLING EBOOK as an INDEPENDENT PUBLISHER as well. Another book ranked 1st Page Search Results of Amazon 580 times for $0.73 total! 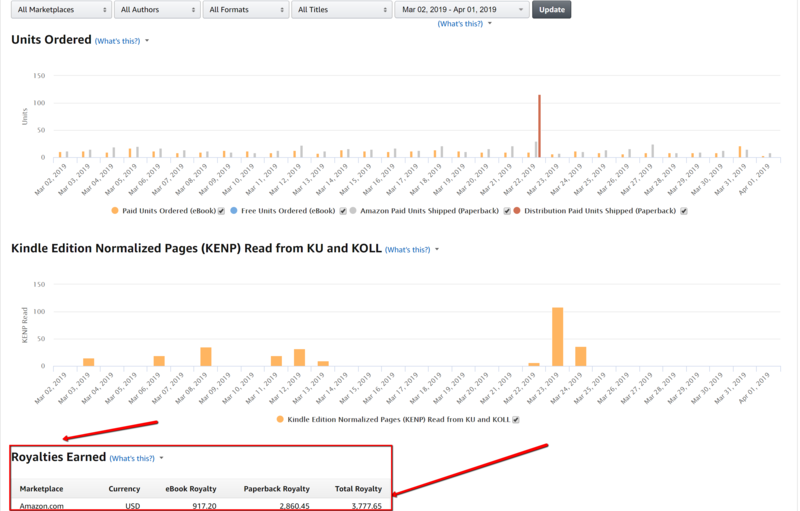 Here is proof of my monthly results for Amazon Ebooks + Amazon Paperback Books Only. Here is proof of my results for my Audiobooks at Amazon, Audible, & Apple's iTunes! Here is proof of my results for my eBooks @ Apple's iBooks. On the side as a fun project, I also have experience creating & making movies on Amazon! 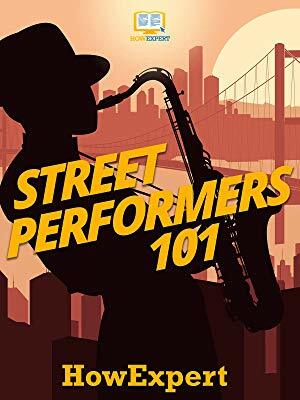 On the side as a fun project, you can also learn how to create music and publish it on Amazon, Apple, Spotify, and more! On the side as a fun project, I also have experience creating & selling t-shirts on Amazon! MOST IMPORTANTLY, YOU WILL LEARN HOW TO PUBLISH YOUR BOOK INTO 3 PRODUCTS ON AMAZON (EBOOK + PAPERBACK + AUDIOBOOK) FROM A REAL-LIFE INDEPENDENT PUBLISHER WHO HAS EXPERIENCE PUBLISHING 1,000+ PRODUCTS ON AMAZON!!! Amazon self publishing can work for ANYONE! You don’t have to be smart. You don’t need to write. You don’t need to have any special skills. All you need is a DESIRE to make money online and willingness to TAKE ACTION following a PROVEN & TESTED method to do this. And this is ALREADY proven because there are TONS of everyday people just like you (working from home or anywhere) who are making an EXTRA PASSIVE INCOME thanks to Amazon self publishing! Because to be honest, I’m the WORST CANDIDATE in terms of making money online with self publishing! English was not my first language because I was born in Korea but eventually came to America at around age of 10. I NEVER excelled in the typical writing classes except for one class I had fun in which was called creative writing. I failed an English writing test that most of my friends in school all passed! I was so shy that I barely went to job interviews and the few job interviews I went, I NEVER got the job! In fact, prior to doing self publishing, I used to work a fulltime job as a convenience store clerk because I could NOT get a single job and the only reason I got the store clerk job was because my dad owned the convenience store at the time! Honestly, I am in shock at how someone like me could make ANY money online…especially with self publishing! So if I…a broke, shy, immigrant, former convenience store clerk with HORRIBLE English grades can make money with Amazon self publishing…then YOU CAN CERTAINLY DO IT AS WELL! All you need is 1) have the desire to make money online + 2) follow a proven & tested step by step method to make money with Amazon self publishing. You are here because you already have the desire to make money online. The next thing you need is to get a PROVEN & TESTED method to make money online with self publishing. The GREAT NEWS is that I have compiled the BEST step-by-step blueprint for you to succeed online. After Having Success with Self Publishing, I Am Now Releasing My Step by Step Self Publishing Course Called PUBLISHER SYSTEM for ANYONE to Become a Self Published Author AND Build Their Own Independent Self Publishing Empire! 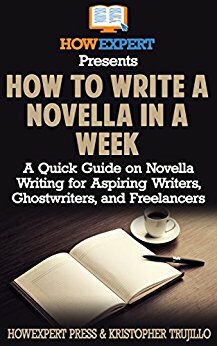 Lesson #1: How to Write and Finish Your Book Step by Step! (Plus BONUS Training on How to Create Your Book in 24 to 72 Hours!) - If You Wan to Create Your Own Book! In this section, you will discover how to CREATE your OWN book in 24 to 72 hours WITHOUT writing! This is a training so that ANYONE can create their own book to BRAND and POSITION themselves as an EXPERT in their industry! 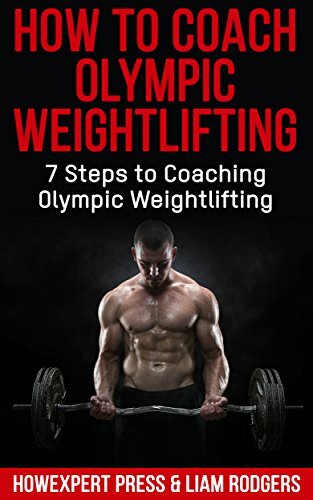 Also if you want to WRITE the book yourself, then I will ALSO show you a STEP BY STEP guideline to CREATE a structured, organized, and a solution focused HOW TO guide that will make a positive impact to your field and in return provide the BEST chance of success for you for the LONG RUN! Lesson #2: How to Post a Ebook Writing Job to Attract High Quality Writers For an Affordable Cost! - If You Want to Hire a Writer to Write the Book for You! This SECRET method will help you HIRE high quality writers want to WRITE for you MORE than any other employer looking for writing at a FRACTION of the cost! This SECRET is NOT taught by any other self publishing teacher out there in the industry and it can DRASTICALLY save you money for the long run to create HIGH QUALITY guides written by HIGH QUALITY writers at an affordable rate! Lesson #3: How to Invite High Quality Writers To Your Job Post So You Never Run Out of High Quality Writers Ever Again! You will NEVER run out of high quality writers wanting to write for you for the LONG RUN! This means you will be able to create an income stream for the REST OF YOUR LIFE using this ONE SECRET TECHNIQUE no other self publishing teacher teaches in this industry! Take action now to discover this SECRET TECHNIQUE to get an UNLIMITED NUMBER of writers to want to write for you! Lesson #4: How to Interview & Hire Writers to Create a Unique 'How To' Guide About Their Best Expertise At an Affordable Rate! This is the SECRET METHOD that I have NEVER heard any self publishing teacher talk about! Most teachers talk about hiring a random ghostwriter to write about any random topic. That is NOT authentic and will produce books that are of low quality in the long run because people want AUTHENTIC EXPERTS to write about the topic! That is why in this lesson, you will learn THE #1 BEST WAY to find UNIQUE TOPICS where the writer has REAL LIFE EXPERTISE in that topic! This training is NEVER taught anywhere by ANY other self publishing gurus out there! 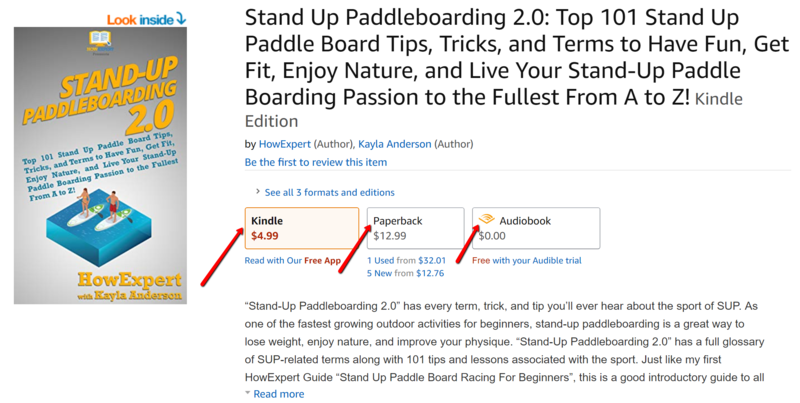 Lesson #5: How to Format Your Book for All Platforms Like Amazon Kindle Ebooks, Amazon Paperback Book, and Apple's iBooks, and More! You will learn how to FORMAT your book as an eBook and paperback in MINUTES! You don't have to be a TECHNICAL GEEK to learn this SIMPLE METHOD to format your book the RIGHT & FAST & EFFECTIVE WAY! You will watch me DEMONSTRATE you step by step on how to format your Amazon eBook and paperback so you can just watch me do it and do it as well! Watch this training today and move one step forward to becoming a published author and starting your OWN independent publishing empire! Lesson #6 - How to Get High Quality Ebook, Paperback Book, and Audiobook Covers for an Affordable Cost! They do judge your book by your cover and I will show you how you can get a HIGH QUALITY cover done for your eBook, paperback book, and audiobook for an AFFORDABLE onetime cost! Get the EXACT scripts and know exactly what to say to designers so they want to do the COVER for YOU and your books! Watch this training today and create your FANTASTIC COVERS to take your branding and book to the NEXT LEVEL! Lesson #7: How to Publish Your Ebook to Amazon Kindle Ebook Store in 30 Minutes or Less! This is a MUST WATCH training that will SEPARATE you from someone who just has a book in their computer folder to NOW being on your way to OFFICIALLY becoming a PUBLISHED AUTHOR! Best of all, you will NOT miss any piece of this training because you will WATCH ME DEMONSTRATE TO YOU how to submit your book to all the TOP book platforms STEP BY STEP from A to Z! Watch this training, get your book published, become a published author, and start making royalties for a LIFETIME! 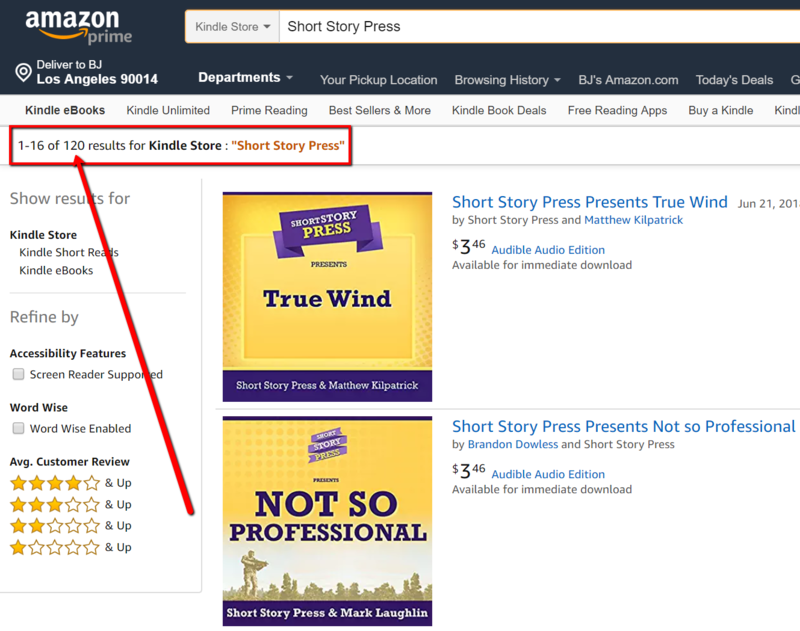 Lesson #8: How to Publish Your Paperback Book to Amazon Book Store in 30 Minutes or Less! You will discover the SECRET method to turn your SAME EBOOK into a PHYSICAL PAPERBACK BOOK on Amazon so that you now become a REAL AUTHOR from most people's eyes! Most people have far more respect for those who have a PHYSICAL BOOK and now by watching this step by step training, you can get your EBOOK into a PHYSICAL PAPERBACK BOOK and OFFICIALLY become a REAL AUTHOR! Watch this training, become an official author, and start making LIFETIME ROYALTIES! Lesson #9: How to Turn Your Amazon Ebook into an Amazon Audiobook Without You Doing the Audio! Turn your SAME EBOOK into an AMAZON AUDIOBOOK that makes PASSIVE INCOME for you without you doing the audio! Yes! You will watch me DEMONSTRATE to you STEP BY STEP on how to turn your eBook into an AUDIOBOOK by having HIGH QUALITY AUDIO NARRATORS do the work for you for a VERY AFFORDABLE ONE TIME price! Get in this HOT TREND OF AUDIOS NOW and take advantage of this opportunity to make AUDIOBOOK PROFITS for a LIFETIME! Lesson #10: How to Multiply Your Self Publishing Profits by Publishing Your Same Ebook to Additional Platforms Such as Apple's iBooks, Kobo, Sony Reader, and More! You will watch my DEMONSTRATION VIDEO TRAINING of teaching you how to turn your SAME AMAZON eBook and SELL IT ON MULTIPLE PLATFORMS like Apple, Sony, Kobo, and more! Multiply your profits with the SAME book that is selling on Amazon! Create even MORE STREAMS of income with your same eBook! This TRAINING alone can potentially DOUBLE your profits so watch it today! Lesson #11: How to Build an Email List with Your Ebooks to Maximize Your Income with Your Ebook Business + MORE Marketing Lessons Revealed! Discover how to build your own EMAIL LIST to be able to sell MORE products to your readers for the LONG RUN! Your email list is considered your #1 BIGGEST ASSET so start building your asset today and be able to SELL other relevant products to your readers to make an even bigger income in your business for the LONG RUN! Watch this training, build your biggest asset, and make BIGGER income for the long run! If you get PUBLISHER SYSTEM today, then you will get this FREE BONUS TRAINING where you will discover my NINJA TECHNIQUE that nobody teaches in the self publishing teaching industry! You will discover a way to make EXTRA INCOME with your book WITHOUT even selling your book! This actually works and it is NINJA so Get PUBLISHER SYSTEM today and make that EXTRA INCOME for the LONG RUN! BONUS #2: My Additional Secret Interview to Succeed as a Self Publisher! If you get PUBLISHER SYSTEM today, then I will also offer an ADDITIONAL 1-hour interview of me answering your TOP QUESTIONS about self publishing! I hold nothing back and share you my REAL LIFE insights and secrets on how you can JUMP START your success with SELF PUBLISHING starting today! So Get PUBLISHER SYSTEM now and start getting my TOP self publishing secrets today through this 1-Hour EXCLUSIVE BONUS INTERVIEW! How Is This Different Than Other Systems? My PUBLISHER SYSTEM online course is DIFFERENT than ALL the other self publishing eBooks, courses, and seminars because NO ONE who teaches this or has done this independently has done it my way which YOU can get get the KEYS TO MY BLUEPRINT if you take action today by getting my PUBLISHER SYSTEM course! The way my system is DIFFERENT than other self publishing systems out there in the industry is that I teach you how to hire REAL LIFE EXPERTS to write about WHAT THEY WERE BEST AT! In the end, you are going to learn how to publish AUTHENTIC BOOKS written by REAL EXPERTS. The book becomes AUTHENTIC as opposed to some crappy book written by some ghostwriting researcher (which is taught by MOST self publishing teachers)! Hence, YOU will learn a METHOD that is REAL, GENUINE, AUTHENTIC, makes a POSITIVE IMPACT in the world, and help you build a business for the LONG RUN (unlike other self publishers who were here once and gone today)! This focuses on helping BOTH the AUTHOR AND the INDEPENDENT PUBLISHER succeed in the publishing business I have experience doing BOTH as a bestselling author and bestselling publisher! Other courses teach you how to hire a ghostwriter to write about any topic. That is NOT as authentic because you are hiring someone to write about something they may NOT be good at in real life! However, this courses teaches you how to CREATE GENUINE & HIGH QUALITY products that makes an authentic & positive impact in the world AND help you make money online! You will learn how to succeed in self publishing from someone who has done this since 2010 meaning you will learn how to succeed for the LONG RUN. You will learn how to MAXIMIZE your profits for each and every book you publish because you will learn how to turn that EBOOK into a PAPERBACK and an AUDIOBOOK to provide 3 INCOME STREAMS! You will learn how to succeed with self publishing from an AUTHOR & PUBLISHER’s point of view because I have had experience writing a book and being a publisher myself. You will get a NO FLUFF WAY to make money with self publishing WITHOUT feeling overwhelmed. I will purposely give you ONLY the IMPORTANT STEPS to help you STRAIGHT make money online with self publishing because most ‘internet marketing’ training give too much information and actually hinder you from taking action and getting results online. LISTEN TO SOME OF THE HUNDREDS OF PEOPLE I HAVE HELPED BECOME PUBLISHED AUTHORS TO HELP THEM BRAND & GROW THEIR OVERALL BUSINESS! 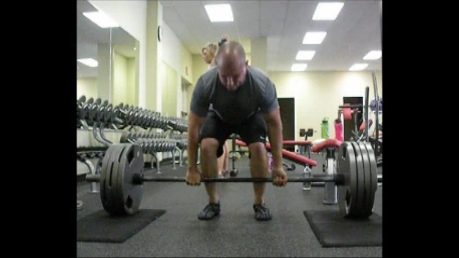 Nathan DeMetz is a fitness trainer who published a book to brand & grow his overall fitness business! 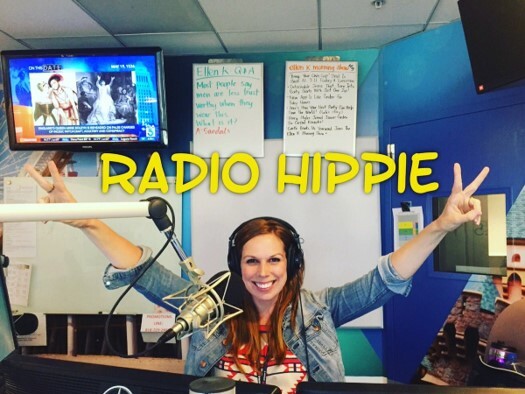 Maggi Mayfield (a radio host of KOST 103.5 - a top Los Angeles radio station) published her first book "How to Become a Voice Over Talent" which is helping her brand herself as an expert in her unique field of being a radio personality! 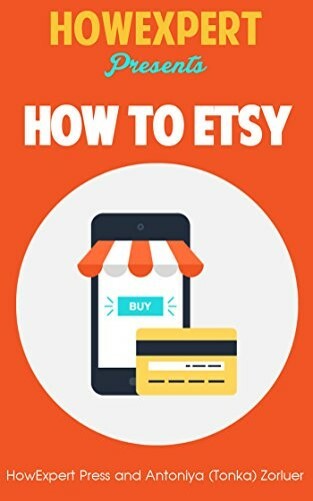 Antoniya wrote a book about her #1 expertise - selling artwork on ETSY. 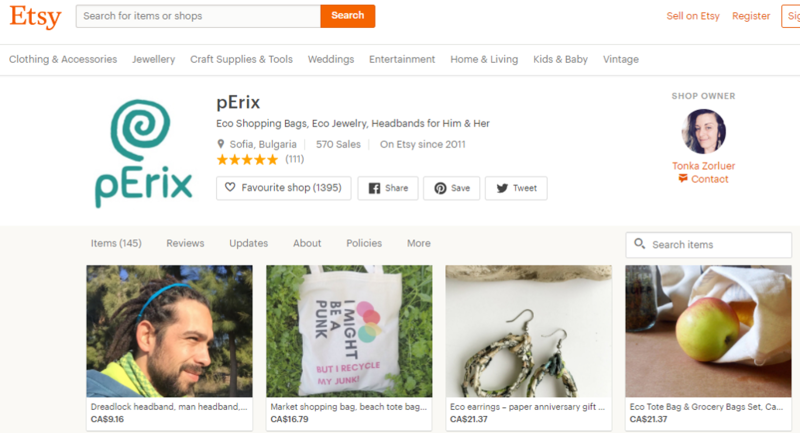 Now, she has a consulting and done for you service business for artists who want to sell their artwork on ETSY! Your book can be the brand builder to ultimately grow your overall business! Listen to Other Everyday People Who Have Become Published Authors! 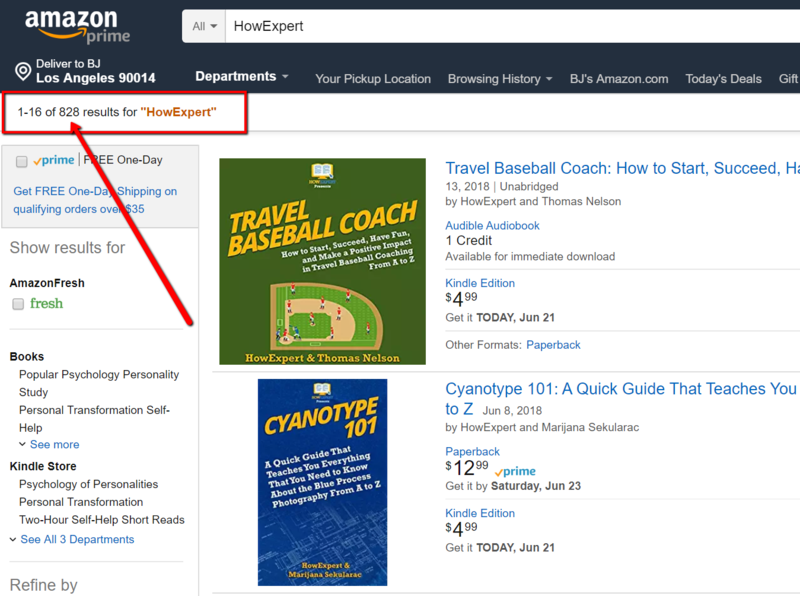 MORE PROOF OF REAL PEOPLE WHO I HAVE HELPED BECOME PUBLISHED EXPERT AUTHORS ON AMAZON! I absolutely loved working with Hot Methods. They laid out everything I needed to know prior to accepting the job. I set my deadline. Once I turned in my work, I was asked to edit 2 things in my project and once I turned that back in it was accepted within the hour. I would recommend this company. In my career as an indpendent publisher, I have learned a lot of real life lessons that I want to pass down to the future generations to ultimately make a positive impact in the world...one book at a time that you publish for now and for the future. I am literally giving YOU (my future mentee/student) my EXACT step-by-step BLUEPRINT on how I build your own independent publishing business from the ground up. I'm giving you my SECRETS that have NEVER been revealed to the public to you. You CANNOT get these type of real life lessons in ANY OTHER publishing course because my course teaches you from both an independent publisher's perspective! Everyone else seems to hire ghostwriters and that's it! I've never done it like that with my own publishing company. That's because I NEVER STUDIED & COPIED other people! Instead, I figured this out ALL ON MY OWN and FOCUSED ON MY OWN VISION of publishing AUTHENTIC HOW TO BOOKS by real life, everyday experts! AGAIN, NO ONE teaches what I teach inside PUBLISHER SYSTEM. This is the ULTIMATE STEP BY STEP BLUEPRINT that will show you how YOU can become an INDEPENDENT PUBLISHING MOGUL and START YOUR OWN publishing company for the LONG RUN in an AUTHENTIC WAY! NO ONE TEACHES what I teach because EVERYONE else in the self publishing industry seems to study from each other. On the other hand, I DID NOT STUDY from other people. I WENT IN MY OWN LANE & WENT THERE ALL THE WAY! That's how my publishing business has stood the test of time and still generates a SOLID FULL TIME INCOME! AGAIN, this is NOT your COPY CAT self publishing course like 99% of courses out there online! 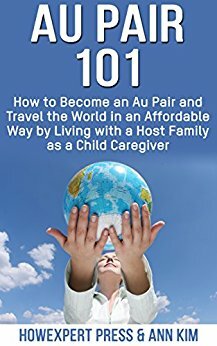 THIS IS A UNIQUE, ONE & ONLY & ORIGINAL course created by a REAL bestselling author and a REAL independent publisher who has published AUTHENTIC how to guides in the Amazon marketplace. And unlike other publishers who teach this, I am the ONLY ONE who reveals my books through my OWN publishing experiences. Why? Because I'm not AFRAID. I'm SO CONFIDENT in my own skills as a publisher and someone who is authentic and willing to share my SECRETS to YOU so YOU can also succeed as a publisher as well. You will be proud of your work. Your writers will be HAPPY to write for you! You will create AUTHENTIC topics that make a POSITIVE IMPACT in the world. You will STAND OUT. This is the SECRET BLUERPRINT that can help you CREATE YOUR OWN INDEPENDENT PUBLISHING EMPIRE! So...this BLUEPRINT has provided me the blessed opportunity to make a positive impact in the world, make income online, and also enjoy the internet business freedom lifestyle. Having said that, I can easily charge you a high ticket price for this like some gurus do. I have seen others charge THOUSANDS for basic self publishing lessons. Let me tell you...You're not getting basic information that you can easily find on Google. PUBLISHER SYSTEM is a UNIQUE & ORIGINAL course where it shares you something that you have NEVER heard of before in the self publishing industry. So it won't be your typical cheap course. However I wanted to make it affordable for the SERIOUS student who VALUES my blueprint and is willing to take serious action and get started! That is why I decided to charge it for an affordable price of $997 a year $97 (for a LIMITED TIME!). This is now a membership site that charges yearly for our exclusive members only content. All sales are final because this course is digital. You can cancel future billing anytime by contacting our support. Thank you. To be honest, the value you're going to get inside this course is 10 TIMES the value of what your investing in. In the future, I am seriously going to consider raising the price to at least $997 a year OR MORE in the future. Even at that price or higher, it is WELL WORTH IT because this method can create a LONG TERM passive income for you for a LIFETIME! Build, Grow, & Succeed with Your Own Self Publishing Business All Done Online! In addition to you receiving my STEP BY STEP blueprint to start, grow, and succeed in your own publishing empire, you will be invited to connect with OTHER self publishers to mastermind and get yourself to a whole new level! Plus, I will also participate inside the private facebook group to answer some basic questions here and there as well to help you SUCCEED in your journey as a self publisher! My PUBLISHER SYSTEM is an AWESOME course that will show you EVERYTHING you need to know about succeeding in the publishing game. However you may have a specific question here and there and that's where the PRIVATE FACEBOOK GROUP can help you get your specific questions answered to CONTINUE overcoming those little hurdles & obstacles to CONTINUE SUCCEEDING in the self publishing world! Joining this PRIVATE group is PRICELESS because you are accessing my 7+ years of experience as an INDEPENDENT PUBLISHER! This BONUS may DISSAPPEAR in the future so TAKE ACTION NOW! Click the link below and Get PUBLISHER SYSTEM today! You can literally get my STEP BY STEP blueprint on how to build your OWN publishing empire that will set an INCOME for your for a LIFETIME! I may EVEN consider raising the price OR taking this offer down in the future if I get too many students. So...TAKE ACTION NOW before this offer becomes much more expensive OR disappear in the future! By the way, this is not some quick course that shows you fluff training. Instead, you will GET DEMONSTRATION of me doing EVERYTHING from A to Z to build an eBook publishing empire! CLICK THE LINK BELOW & START YOUR INDEPENDENT PUBLISHING EMPIRE today! 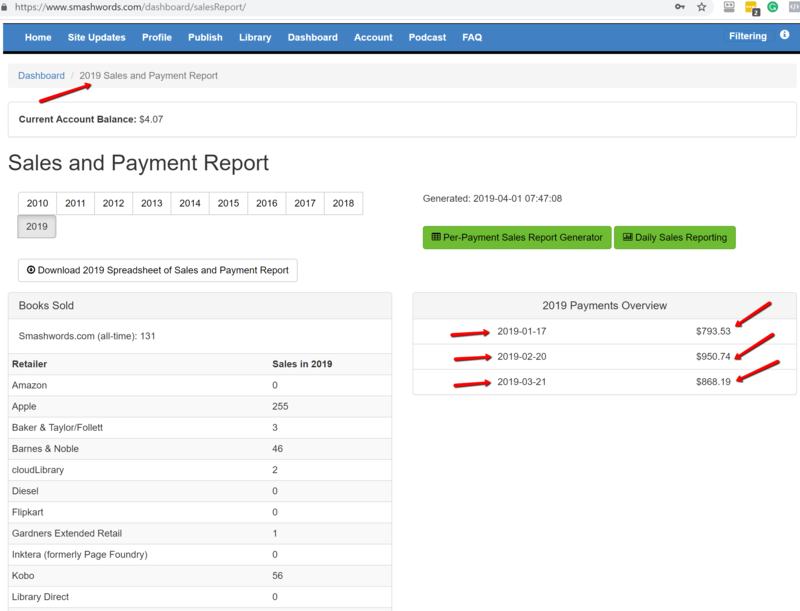 Get Publisher System today and watch my entire step by step training. If for whatever reason you are not completely satisfied with this course and don't believe that I gave you 10 TIMES the value for this course to show you the blueprint on how to start & succeed in your own publishing empire, then contact me and I will personally refund you the money and we can part as friends. That's how confident I am that PUBLISHER SYSTEM will give you the BEST blueprint on how to succeed as an independent publisher starting today! Plus, I will even get on the PHONE with you to help you IF you don't make any sales after publishing 10 books. That's how much confidence I have in my course being able to FINALLY help you with self publishing. GET PUBLISHER SYSTEM today and start your own publishing empire for the LONG RUN! Thank you and I wish you much success in the future! P.S. I am very authentic in my course SHOWING you and DEMONSTRATING you how to start and succeed in self publishing by SHOWING YOU MY PERSONAL business! I don't know anyone who really does that. I don't just TALK ABOUT IT. Instead, I DEMONSTRATE TO YOU INSIDE PUBLISHER SYSTEM! I am REAL, AUTHENTIC, GENUINE in my training. I will help YOU create REAL & AUTHENTIC books that STAND OUT, make a POSITIVE IMPACT, and help you generate PASSIVE INCOME! CLICK HERE TO GET PUBLISHER SYSTEM NOW! P.P.S. Here are additional resources for you to ultimately help you self publish your own Amazon book to grow your authority and your business for the long run! P.P.P.S. In short, I can help self publish your book as an Ebook + Paperback + Audiobook on Amazon, you keep all the rights, and keep all the royalties for a lifetime! So get started today! P.P.P.P.S. If you think you cannot write your book, don't worry because I have a FREE VIDEO TRAINING here to teach how ANYONE can write their OWN book in 24 to 72 hours! What do I get for this yearly membership site? As a yearly member to Publisher System, you get access to our exclusive content PLUS updates that come for ACTIVE MEMBERS ONLY. You are free to cancel future subscription anytime. How do I cancel future subscription? Just request to cancel for future subscription at support@dreampreneur.com. Thank you. Do I have to publish HUNDREDS of books like you to make money with publishing? No you don't because you're going to learn from my OWN trial and error! I had to do HUNDREDS of books because I did it the WRONG way in the beginning. But eventually I discovered the RIGHT WAY to do it (in terms of picking topics) that can help you FINALLY get results online! If I was given this type of course in the beginning, I wouldn't need HUNDREDS of books to get the income I make because I would be MUCH BETTER at picking UNIQUE TOPICS (which I will REVEAL to you in my PUBLISHER SYSTEM course)! Why is your course more expensive than many other courses about self publishing? First of all, my courses is a BARGAIN for the real deal advice & value you receive in this course because you learn from a REAL bestselling author and a REAL publisher of hundreds of books online. Second of all, I cannot give away my secrets for $47 like other courses out there who seem to focus on teaching some short cut way to make money online. This is NOT for get rich quick people. This is for REAL future publishers who want to succeed in publishing for the LONG RUN. Many short cut & almost questionable tactics come and go but my REAL & AUTHENTIC LONG TERM methods will last for a LIFETIME & BEYOND! Once you get the course, you'll know what I'm talking about because I do NOT teach you how to get fake reviews or use any questionable tactics that may give you short term profits but NEVER long term success. Can I really make money online with self publishing? YES! Absolutely! Kindle self publishing is working for many people to this day and many more and getting into this and starting to make a fulltime income online. Is Kindle self publishing saturated? No it is not! If you do it the right way, you can earn a fulltime income online doing Kindle self publishing not just for today but for the long run! Is it expensive to get started in this business? No way! Compared to a typical brick and mortar business, this is a very affordable business that can make you passive income and give you greater return on investment than most typical businesses. How is Kindle self publishing different than most other business opportunities on how to make money online? In my honest opinion, this is one of the most REALISTIC ways for the everyday person to start their REAL business online that they own and keep for their lifetime. A lot of other businesses require a bigger learning curve or more technical work but Kindle self publishing is basically you submitting a word document to Amazon and making money if you want a simple version of it! What if I don't make money online? If you don't make money online after publishing at least 10 books with Amazon Kindle publishing, I will personally get on the phone with you for 15-20 minutes for FREE to give you coaching to help you turn your business around and do a better job for the future.